Who is the AEGEE member of the year 2016? Which antenna, which project was the best? The Golden Times asked more than 70 locally or Europeanly active members. In this edition: read what Spyros Papadatos, Aleksandra Mojsovna, Alin Georgescu, Melissa Carreres Candela, Danae Matakou and Zeynep Eda Alpsoy said. Spyros Papadatos: My work as member of the Network Commission. The workload is big, but I enjoy every minute of it and I feel honoured to be part of this Commission. Serving and protecting the network is the greatest choice I have made in AEGEE. 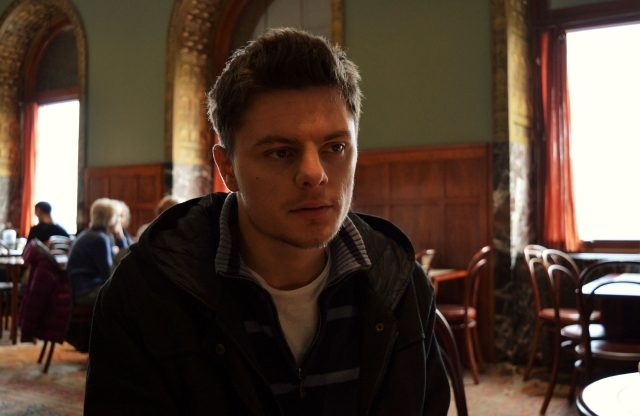 Spyros: I remember most vividly the two amazing Agorae that AEGEE-Bergamo and AEGEE-Chisinau organized for us. The organizers’ dedication was huge and the participants fully enjoyed the energy of the events. Moreover, the process of the new Focus Areas was also quite interesting. Spyros: I would say some great ladies we have in our organization: former NetCommies Mareike Wegener and Lisa Gregis for their commitment and vision and for being my personal inspirations and mentors. Also, Tekla Hajdu for being an excellent Network Director and person. And last, but not least Réka Salamon for being so close with the locals and for representing this organization in such a great way. Spyros: Without any doubt: the Turkish speaking antennae. They are dealing with a lot of unfortunate stuff in their everyday lives, but still their members are carrying out the activities, organize European events and fight for a better future. I am proud to be the NetCommie of these locals, together with Kristina Reshetova, and we are trying to support them as much as we can. Spyros: The topic of EPM Zagreb, as well as the new Focus Areas. And of course, the political and social situation in Europe is always affecting our organization and we should try to address it more actively. Spyros: The Network Commission is my absolute priority. I will give my 200% to the Commission, my locals and the whole network both as regular NetCommie and in the speaker team. Also, I will try to help the SUCT as much as possible as a member of SUpporters. Spyros: I will spend the New Year’s week in the amazing ”Our Big Fat Greek Winter University”, but specifically New Year’s night probably with family and friends. Aleksandra Mojsovna: Being a Network Commissioner is a process of working with all these different people, which is most certainly an enriching experience of bringing qualities to each other! It is my biggest highlight this year. Before that, on the timeline, the activities of the “Your Vision for EUrope” project, especially the conference in Cluj-Napoca. It took quite some effort and it was totally worth it. On the other hand, being a Netcommie is the thing I wanted to do. And if there was a chance to stay as an Advisory Netcommie after my term, then it would be ideal. Aleksandra: Oh, the EPM in Leiden for me was amazing. Every statutory is a memorable story itself, isn’t it? But let’s not talk about memories. Let’s talk about what’s yet to become memories. Let’s support the European Citizens’ Initiative, promote it, and honour the great effort of our pro-active colleagues. Let’s better the world for ourselves and or successors. Let AEGEE to shine on even brighter after a successful ECI. Aleksandra: Pablo Hernandez – and not only because of what he did during his term, but also because of what he did afterwards: still fully active and loyal to AEGEE, an inspiring example for all. Also Willem Laurentzen: my greetings for the amazing editor-in-chief and all of his wonderful work. We all do mistakes at times, that’s what is called cycle of life, and it’s up to us to create the cycle of understanding and humanity! So I wish for him to stayed more, but most definitely there are some other bigger challenges life holds for him. Last but not least, every single member who did a single activity for AEGEE by heart, who appreciates the responsibility given, truly understands and believes in the power of our AEGEE, and selfishly contributes to it. I do believe that all of us 10,000 do it -whether fully aware or not. Aleksandra: AEGEE-Maribor, they have such perfect organisational skills, they are super hard-working and beyond-responsible. They organised some events perfectly, like the TNT for instance. AEGEE-Zagreb is right here of course, organising the EPM is a huge step to take. And they will do it well. But since the question is referring to 2016: AEGEE-Chisinau of course. The audacity of hope, this time the European dream, they dared to go for it, and they did it very well, the most reliable and helpful organisers I have ever met. My huge thanks and appreciation for that. Aleksandra: Am I allowed to say the “Your Vision for EUrope” project? We achieved a lot. The Cluj-Napoca conference in cooperation with the Association des Amis de Franck Biancheri, the “Faces of Europe” photoblog, the Workshop Toolkit for locals, the workshops delivered and the cooperation with other bodies: I hope we can continue even better in 2017. Not to forget the new Gender Equality Interest Group and LGBT+IG, who seem to be very promising. Aleksandra: The focus of the Focus Areas. How do we prepare our members and how do we lead the path that we chose? We need to set the pillars of our future actions, preferably to create a tool to bring those closer, if not very close to each and every new active member, to shape their AEGEE life according to the Focus Areas, way more than the other way around. Aleksandra: To continue contributing in AEGEE. Maybe in a a slightly different role, but definitely staying active. I am planning to gladly join one of the interests groups – or the two of my biggest interest – the LGBT+ one and the Gender Equality one. Luckily, we have our Focus Areas here now that covers both, so it should be easier. Aleksandra: Home, family zone. Though I am a fan of parties – and I know how to party! – I am not the biggest New Year’s eve party queen. Alin Georgescu: Definitely being part of the Planning Team of the Strategic Plan 2017-2020. Getting to have an overview about the contribution that AEGEE had in Europe over the past years and getting to work close to the CD, was my best experience so far. Alin: Maybe the conference in Cluj-Napoca in May: “Borderless Europe, Blessing or Burden”. It is one of the hottest issue that Europe is facing and had the involvement of the Association des Amis de Franck Biancheri in this event. Meeting people that worked with and knew Franck Biancheri was an amazing thing. It is a personal thing of course, it keeps me motivated when I am overwhelmed. Alin: There are a lot of members that I have met, worked and had nice conversation with. Maybe I can name our current president, Réka Salamon. Her speech in Chisinau made everyone believe that we do have the power to create the society that we want to live in. Alin: Taking into consideration the events: AEGEE-Cluj-Napoca, AEGEE-Bergamo, AEGEE-León and AEGEE-Chisinau. Not to forget my local, AEGEE-Ploiesti, maybe it did not have an outstanding event, but it organised its first NWM, which for me was a great achievement and I am really proud of it. Alin: The whole thing with populism that we are going to discuss during EPM Zagreb is one of the biggest challenges that Europe and actually the whole world is facing right now. Alin: Currently I am a NetCommie, I am planning to continue the work of previous NetCommies with my team and support all the AEGEE projects and members as much as I can. Alin: I don’t have any plans for now, I do feel that this year was a marathon for me, but I am an AEGEEan, I am spontaneous, so who knows? Melissa Carreres Candela: My whole work in the Network Commission. Working with locals has been the greatest experience that I had in AEGEE so far, and all the events that I have organised as NetCom, such as NWMs and Renove, were very special and successful. The feedback from the attendants was always very good! Melissa: Agora Bergamo was really remarkable and outstanding for many reasons; the huge number of participants that they managed to have, the best opening ceremony ever in such an amazing theatre, the debate between the CD candidates Pablo and Réka and the whole Closing Plenary itself which was unpredictable and kept us stunned until the last minute. Furthermore, the discovery of “Jorge’s method” in Agora Chisinau, it’s a fact that many people will not forget. Melissa: For me it’s clear: Pablo Hernández, for his hard work in the CD, in his mother local and in general in all aspects of AEGEE. He has been also for me the perfect support that I could have. He was my CD couple during my first term as NetCom, but more than that, he has been always by my side. I would consider also as outstanding members Ander Guerrero, for his tough task in the CD besides his contribution to the LGBT+ IG, and Philip Blum, because of all the improvements that he brought to our Summer University project. Melissa: AEGEE-Chisinau deserves to be mentioned here because of the huge effort that they did to organise the Autumn Agora. Maybe the organisation was not perfect, but we all saw that they tried to give their best and it was an opportunity for them to grow as antenna. Melissa: For me, the development and improvement in the Summer University project is really admirable and I would say all the improvements were really needed. The Gender Equality IG and the Democracy in Practice project have been also really outstanding this year. Melissa: I hope that the European Citizens’ Initiative reaches the attention of as many AEGEEans as possible. This is a topic that really involves all of us, and we must prioritise it because of the current world situation and the sad facts that are happening nowadays. Melissa: Not sure yet, because I would like to focus more on my professional life, but I am sure that I will not disappear from AEGEE life yet. Becoming a trainer is also in my plans, so I am sure you will see me somewhere soon! Melissa: I will do something similar as last year, just to go back home and stay with family, which is always good when you have not enough time to go there during the year. Besides as a tradition, in New Years’ Eve, I will run a 10 kilometre race in my hometown, as I have more free time now, I am getting prepared and I would like to beat my personal bests! Danae Matakou: My personal highlight was the Agora in Chisinau. It was a lovely time for me because I had the chance to reconnect with many people that I worked with in the past and have some very interesting discussions with them – about AEGEE and other things. It felt wonderful for me to feel the AEGEE spirit again. Another highlight for me was when I was selected to be a trainer for the SUPS in Skopje, because organizing SUs have given me some of my best and most memorable moments in AEGEE, so it is an amazing feeling to be able to help others do the same. Danae: Agora Bergamo and the Ideas Factory in Leon. I was unfortunately unable to attend both, due to illness and university exams respectively, but I have heard great things and I think they are great examples of events and initiatives we can achieve as AEGEE. Danae: Mareike Wegener for her outstanding job as Network Commissioner and as speaker of the commission itself! Andrea Schmelz for her initiative to make the Human Resources Committee alive again! And Katharina Jimenez Weese for her hard work in the Language Interest Group! Danae: There are many antennae that did amazing things in 2016, but I will have to mention AEGEE-Istanbul and AEGEE-Eskisehir for their outstanding commitment to AEGEE and its values, and making their SU happen even through the tough situation they faced during the summer! Danae: I think when it comes to working groups the Civic Education Working Group did a fantastic job in the past year. They definitely proved that hard work can have amazing results. Also I want to mention the Language Interest Group and the Migration Interest Group, because they have been doing a great job as well! Danae: I think the topic of the EPM and the EPM itself will be a highlight for our organization. The topic is very relevant and I believe there are many ways AEGEE can contribute to improve things, so I am looking forward to see the outcome of the EPM and the impact AEGEE can have. Danae: Contributing to the best of my abilities to HRC and to SUCT as a SUpporter, because both have great ideas and can do wonderful things in the future. Danae: In my hometown with my family and friends! Christmas is always a time for me to go back home and spend time with my loved ones! 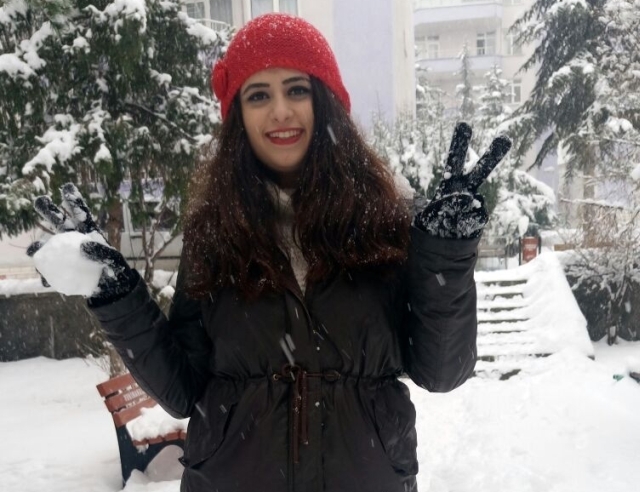 Zeynep Eda Alpsoy: Attempting to quit AEGEE, because I graduated and I would be far from the office and the other developments, but becoming a part of it more and more – because one simply can’t let AEGEE and its spirit go away. Zeynep: I clearly remember how I tried to follow Agora Bergamo online for a couple of hours every day, because I wasn’t able to join, and how it felt like a suspense movie during the announcement of the election results! 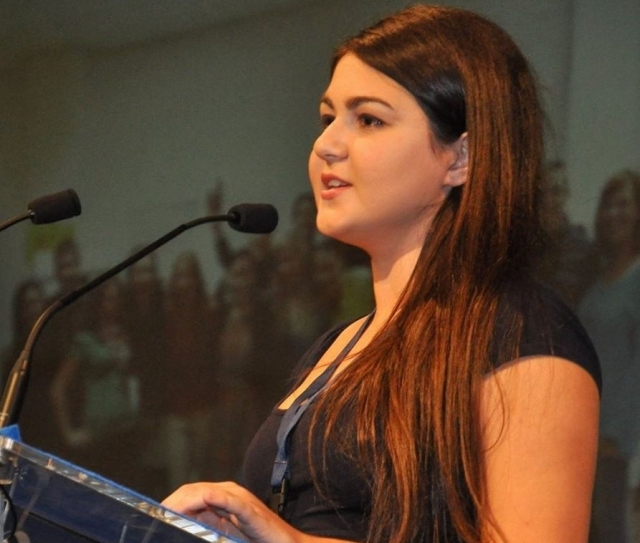 Zeynep: There are many people in AEGEE who inspire me and get me motivated about my work in AEGEE. 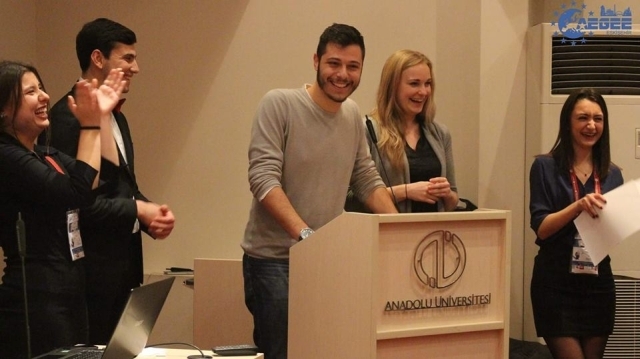 If I would have to name someone, by looking at his ambitions and efforts, I can say that Spyros Papadatos, who is the current NetCom of AEGEE-Ankara, is doing an outstanding job tirelessly since he was elected. 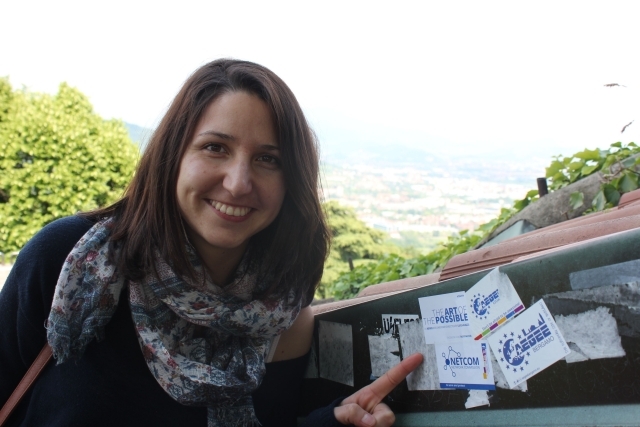 Zeynep: Considering the locals I am in contact with, I can say that I am impressed by AEGEE-Baki’s work. They are doing a lot at the local level. From training the new members to social responsibility projects, they are working in diverse areas and I feel like the AEGEE spirit is always up in AEGEE-Baki. Zeynep: I can humbly say that the Civic Education Working Group and the Language Interest Group are the ones that I closely follow and the ones whose energy never ends. As far as I can follow from social media and mailing lists, they are quite motivated and they are following up their work which leads to meaningful achievements at the end. 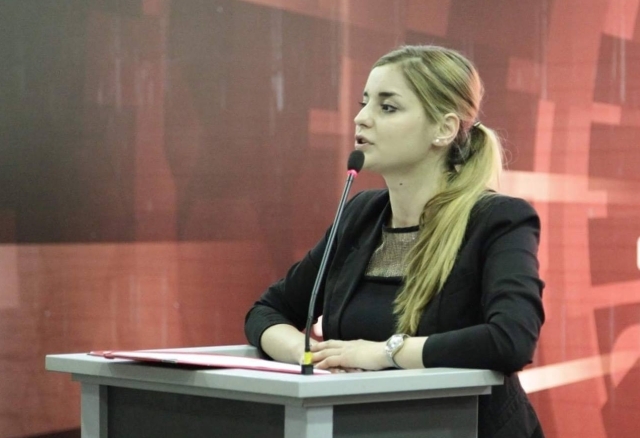 Zeynep: It will be two of the new Focus Areas of AEGEE, which are Civic Education and Equal Rights. I am very excited that we will be working on these areas and I am planning to take an active role in the activities and projects related to those areas. Zeynep: I am planning to take part in the statutory events more often and I want to join the European School trainings by the Academy. Zeynep: Hopefully in beautiful İzmir.